Autonomous Cars Sued For Motorcycle Accidents? Indeed. Teaching cars to safely change lanes without hitting another motorcycle could avoid unnecessary litigation from a Santa Barbara motorcycle accidents attorney. Posted in motorcycle accident attorney on Friday, Feb 23, 2018. Designed to reduce motor vehicle accidents by automatically predicting and correcting car’s movement, autonomous vehicles are tested all over California. Virtually all major manufacturers have put self-driving vehicles on the road, some with major flaws while others are having trouble reading traffic signals. It’s hard to imagine other cyclists go through in a regular car accident, let alone one involving vehicles without human ‘drivers’, per se. As of February 15, 2018, 57 autonomous vehicle accidents have been reported by the California DMV. 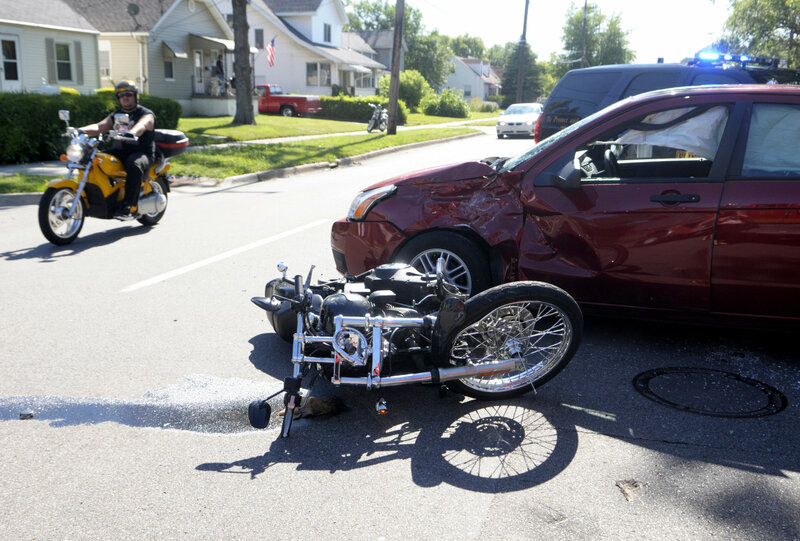 The figure includes this one which happen to a biker who was hit by an autonomous General Motors car. GM is passing the blame back to the motorcyclist, which should make for an interesting personal injury claim – thought to be the first of its kind. Does this mean motorcycle accident victims can sue automation with help from their Santa Barbara motorcycle accidents attorney? Short answer is yes. Remember, technology is a convenience created by the hands and minds of human beings. Teaching autonomous vehicles human actions requires software and design, again, created by humans. Therefore, when vehicle failures or software glitches cause autonomous cars to ‘misbehave’, someone must be held accountable when it injures other parties, such as motorcyclists. Called a technicality, force majeure, whatever you wish. Laws have very clear language stipulating that anyone causing injury to another person out of negligence will be held accountable. So, when an autonomous BMW slams into an innocent Harley rider, best believe the creator or controller of said technology can and will be held accountable for the accident. The eyes of the law see very clearly, and not even futuristic tech is above it. Although it’s currently unrealistic to fathom a Santa Barbara motorcycle accidents attorney can subpoena a vehicle to appear in court, if these autonomous vehicle accidents keep happening, an attorney will admit the perpetrator, aka the self-driving car, into evidence. Until such a time, settlement negotiations or jury trials related to motorcycle accidents will happen as they normally do. It’s helpful that autonomous vehicles usually have onboard cameras so General Motors and similar automobile manufacturers can monitor their movements. Footage obtained from these vehicles can be used to prove bikers’ innocence, which would be necessary in cases where an actual person wasn’t behind the wheel. There’s still standard of proof beyond doubt an attorney must pass cases through to assure even the strictest jury would find in favor of their client. Suing a computer is new, although not an arduous task for the experienced litigant. Motorcycle operators have only two wheels and limited amounts of time to avoid reckless drivers. Sure, autonomous vehicles will undoubtedly be an integral part of tomorrow’s transportation. Learning how to control technology so its software functions properly and equipping autonomous vehicles with some sort of advanced blind spot detection and knowledge of space required is a start.